A fight for survival and the need to right a terrible wrong. Major Jim Wilson and his two men are summoned at short notice to Downing Street. The US Government has a problem and they have asked for help from Wilson and his small team. Reluctantly Jim agrees, but he is unaware of the deceit and betrayal awaiting him from people he thought of as friends. From the wild hills of Wales to the frozen shores of Russia and on to the mountains of British Columbia Jim and his men have to fight to survive, to complete their mission and to right a terrible wrong that reaches to the heart of the White House. The fourth book in the Jim Wilson series. 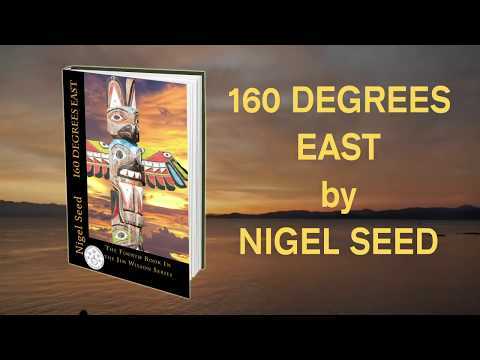 “The task ahead of you is never as great as the power behind you.” Nigel Seed's 160 Degrees East: A Fight For Survival And The Need To Right A Terrible Wrong is an engaging military novel.